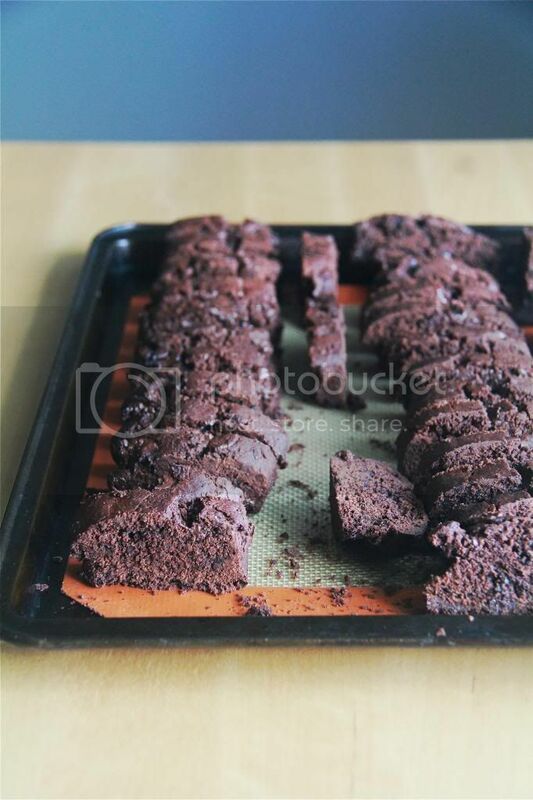 Crumbs and Cookies: double chocolate biscotti. My to-bake list is never ending. If I were to write them out on a piece of paper one after the other, each item taking up one line, the list would be as long as the exact value of pi. Yet, as when a situation called for cookies this morning, I was stumped. I had absolutely no idea what to bake. Upon closer inspection of my list, I realised that it consisted mostly of cake. To be exact, it went something like cake, cake, cake, cake, cake, brownie, cake, cake, muffin, pie, cake. Okay maybe I exaggerate. There were a handful of cookie recipes in that mountain of cake ones but they hardly appealed to me. It was then that I wondered why I even bookmarked them in the first place. Time was ticking by and I had to churn something out soon, so I eventually settled on a cookie that I remotely felt like eating - biscotti, because I like the crunch of it. And as usual when I bake in the morning before I'm fully awake I make a few mistakes here and there. Today I mixed up the quantities of baking powder and baking soda but the results weren't that disastrous so I'm hoping that my friends won't notice anything wrong shhh. 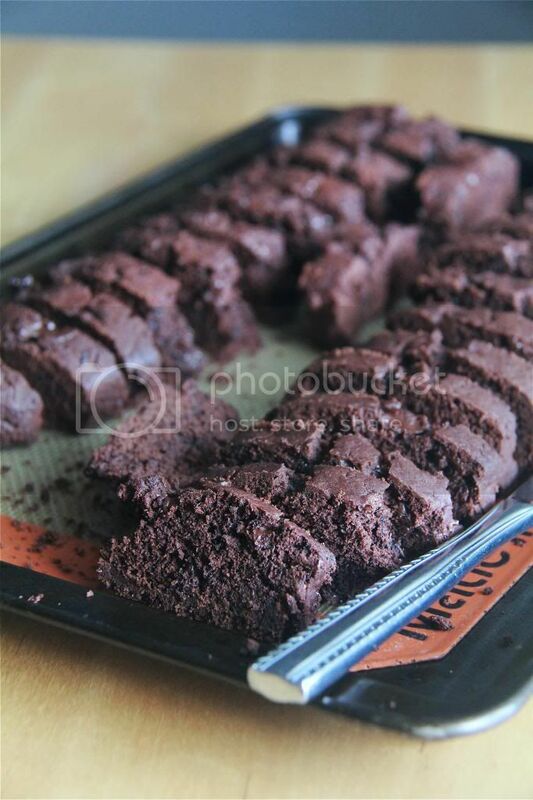 These biscotti are quite crumbly and the ends may fall off as you saw into the logs with your serrated knife. But that's okay because just pick up the crumbs and pop them into your mouth - baker's perks. Other than the shabby appearance, these are sufficiently chocolaty and if I happen to be wrong on this count, feel free to dial up the amount of chocolate chips the next time. P.S. Instagram video on the making of the biscotti here. 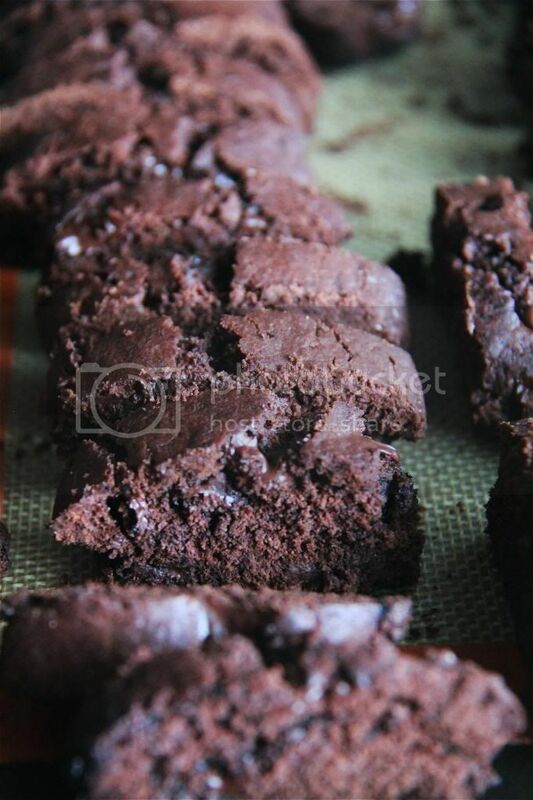 Sift the flour, cocoa powder, instant espresso powder, baking soda, baking powder and salt together. Cream the butter and sugar until light and fluffy. Beat in the eggs and vanilla. Stir in the flour mixture just until a dough forms. Stir in the chocolate chips. Divide the dough into two and shape each portion into a 12 x 2 inch log. Place the logs on the baking sheets and bake for 25 minutes. Remove the sheets from the oven and let them cool on a rack for 10 minutes. Slice 3/4-inch thick slices and leave the slices standing up on the baking sheets. Bake for another 10 minutes, or longer if you like them crisper. 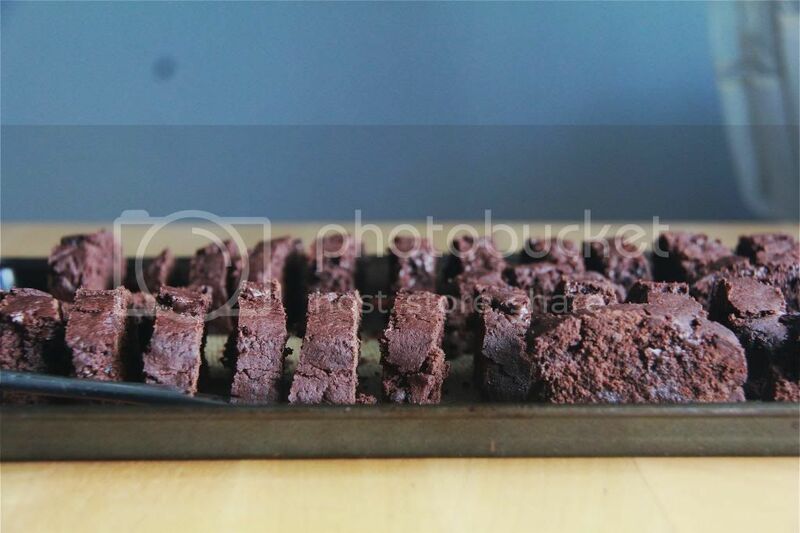 I love biscotti and love chocolate.......double chocolate biscotti....it doesn't get much better than that. Thank you for sharing with the Clever Chicks Blog Hop! I hope you’ll join us again next week!